Dave Skalka is a member of Croker Huck and has been practicing for over nineteen years in the areas of commercial litigation, creditors' rights, real estate, and business law. His wide-ranging creditors' rights practice includes representation in both Chapter 7 liquidation and complex Chapter 11 bankruptcy reorganizations and representation in loan restructuring, representing creditors ranging in size from large national banks to individuals. 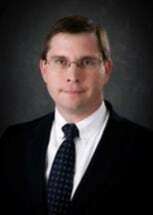 His real estate and business practice includes real estate transactional and litigation representation, contract negotiations, commercial and agricultural lease negotiation, business entity choice, formation, and structure including Nebraska cooperative corporations, eminent domain/condemnation representation, and wage payment and noncompete issues. Dave has successfully prosecuted, defended, and assisted in the settlement of a variety of cases including multi-million dollar commercial claims, fraudulent transfer claims, probate estate disputes, real estate disputes, and shareholder disputes, and has successfully prosecuted and defended numerous appeals in the state and federal appellate courts. He has successfully represented sanitary and improvement districts in contested formations and related litigation. His jury trial experience includes obtaining a verdict for a condemnee landowner that was over three times the amount offered by the condemning political subdivision. His clients include banks, credit unions, commercial and agricultural landowners, commercial landlords and tenants, small and medium-sized businesses and business owners, and condominium and homeowners associations. Dave entered law school in 1995 after having been a news director for several Nebraska and South Dakota radio stations over a period of four years. He began his legal career as a judicial law clerk to the Nebraska Supreme Court.